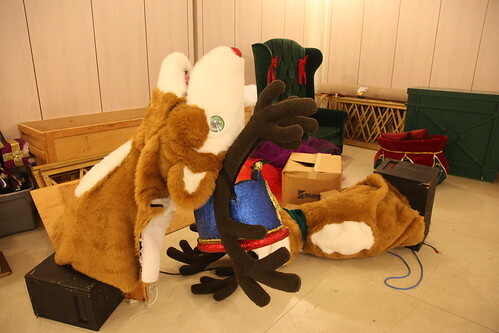 Sadly the reindeer will likely never entertain at Christmas time again. one can only wonder where these items will end up... It was somewhat surprising to see these items here because the Nanuet Mall stopped giving a damn about these kind of amenities sometime around 2006. If anyone remembers the mall having a Santa village after that, please sound off in the comments and I'll correct this.